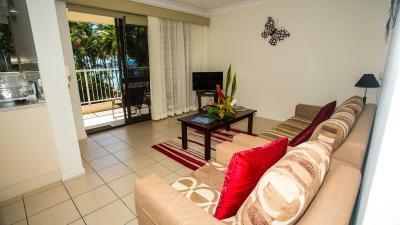 Lock in a great price for Melaleuca Resort – rated 9.4 by recent guests! My wife and myself travel a lot and prefer to avoid large corporate chain hotels opting to find smaller local establishments. We find that these retain some of the local flare and flavor. Some like consistency, but why travel if you're just going to see and experience the same everywhere you go? This resort was perfect for us. 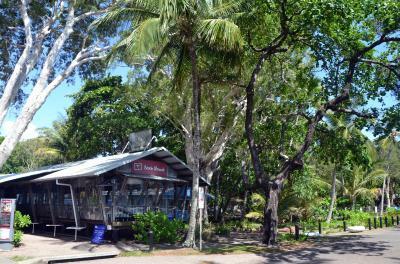 It was small, comfortable, clean and in an idyllic setting that gave the sense of isolation from the urban hustle of Cairnes while being close enough to reach departure points for popular excursions. We highly recommend this establishment. Low price for a large apartment in a complex surrounded by lush, colorful gardens. 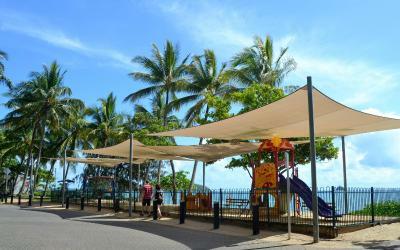 Just across the street from the gorgeous beach at Palm Cove and close to many restaurants. Exceptional friendly and helpful owners. Magnificent view of grounds and sea. The staff were so welcoming and nothing at all was too much trouble. 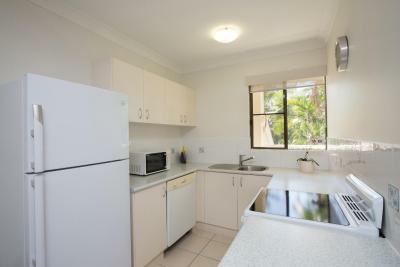 The location is perfectly set close to shops, cafes and transport. Its a very quiet resort in the evenings and night and spotlessly clean. 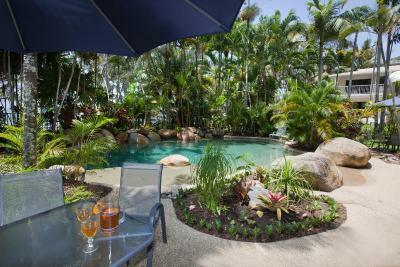 The garden was meticulously tidy and lush and the pool area was a lovely space to be in. 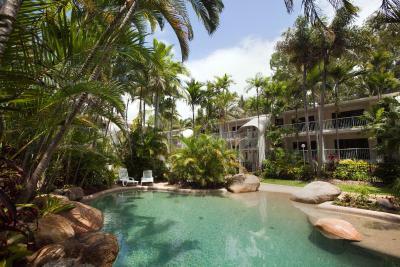 The pool was fabulous, location over the road from the beach and a short walk to the stinger nets. Overall the gardens and pool area were outstandingly pretty and well cared for as is the unit complex. It was one of the best! The Manager was lovely and veryhelpful. We hope to be back there soon! The beach is right on top of the resort. The apartments overlook the sea which is perfect. The pool area is idilic with it's own barbeque for quests to use. We had such an enjoyable stay we extended our visit. 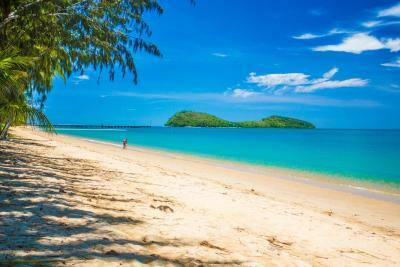 Cairnes is within easy reach by bus or taxi. The owners here were most helpful when we had to adjust our plans. We loved staying here. 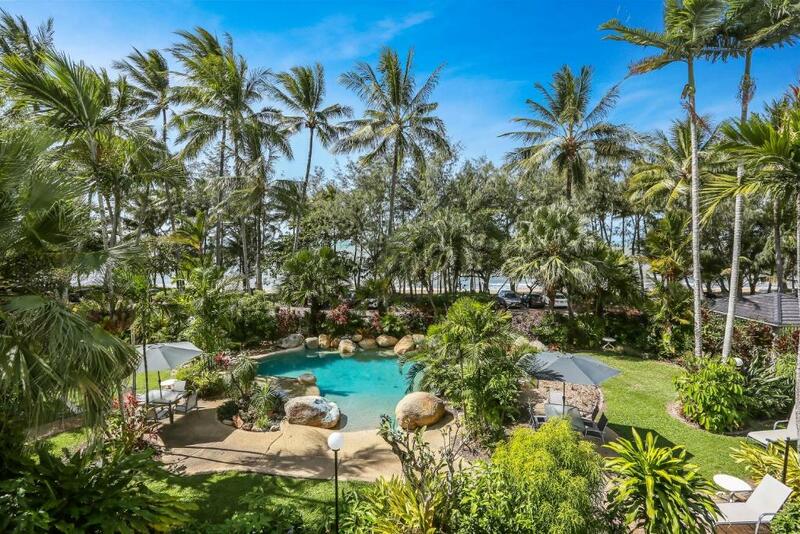 Melaleuca Resort This rating is a reflection of how the property compares to the industry standard when it comes to price, facilities and services available. It's based on a self-evaluation by the property. Use this rating to help choose your stay! 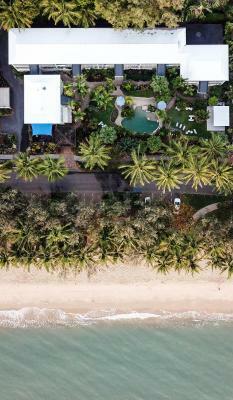 One of our best sellers in Palm Cove! 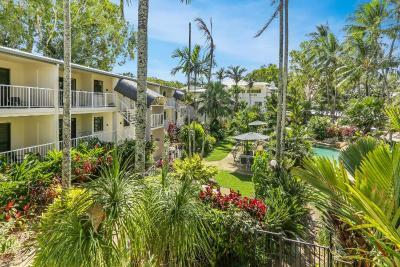 Located in Palm Cove’s beachfront, these 4-star accommodations offer self-contained apartments, a lagoon-style pool, complimentary Wi-Fi and parking. William Esplanade Bus Stop is less than 5 minutes’ walk. 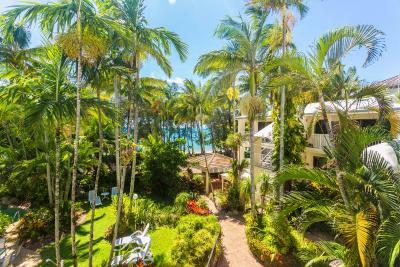 Spacious and set in a minimalist décor, each apartment is equipped with air conditioning, a well-equipped kitchen and a large balcony with views of the tropical garden and swimming pool. Guests can also relax using any of the 3 in-pool spas at Melaleuca Resort. Other recreational amenities include barbecue facilities and a guest library. 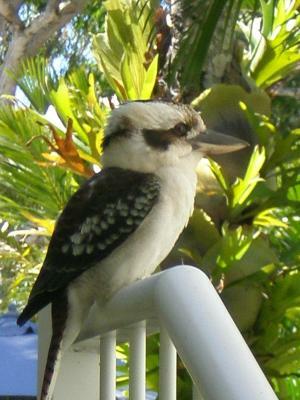 Cairns International Airport is a 25-minute drive from the resort. Paradise Palms Country Club is 4 miles away. 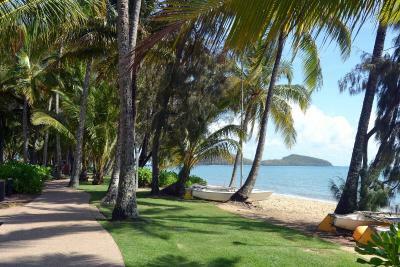 This is our guests' favorite part of Palm Cove, according to independent reviews. 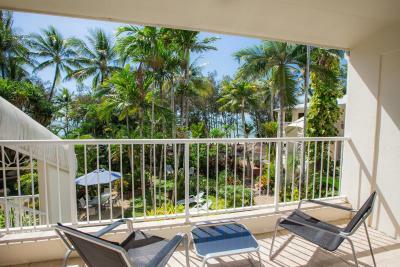 This property is also rated for the best value in Palm Cove! Guests are getting more for their money when compared to other properties in this city. 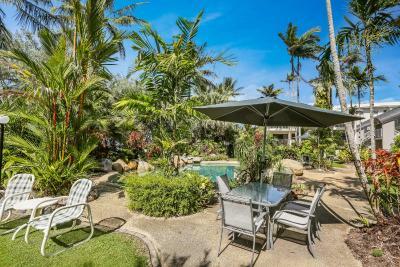 뀐 Located in the top-rated area in Palm Cove, this property has an excellent location score of 9.8! 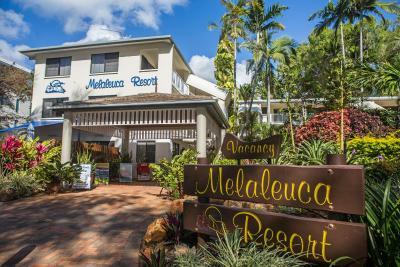 When would you like to stay at Melaleuca Resort? 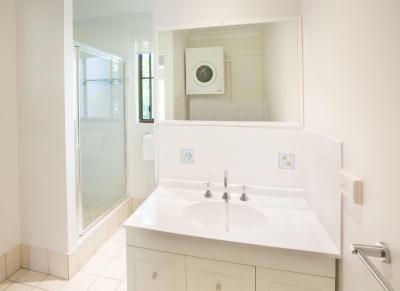 This apartment includes laundry facilities, a lounge, dining area and a fully equipped kitchen. It also includes air-conditioning in both the lounge and the bedrooms. Fans are provided throughout the apartment. A private balcony and a sofa bed in the lounge are featured. This apartment has limited views of the garden and the pool area. Please note there are no ocean views. 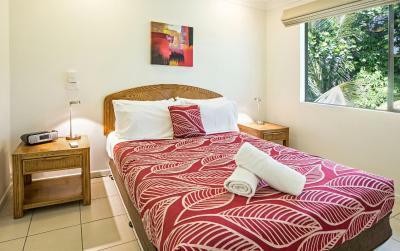 This fully self-contained apartment includes a private bathroom, laundry facilities and both a lounge and a dining area. 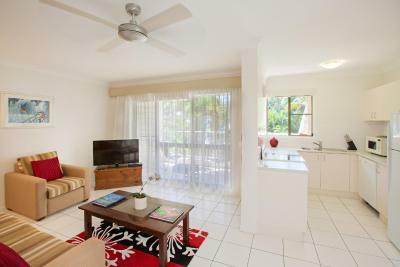 It also includes a fully equipped kitchen and a private balcony with views over the garden, pool and out to the Coral Sea. 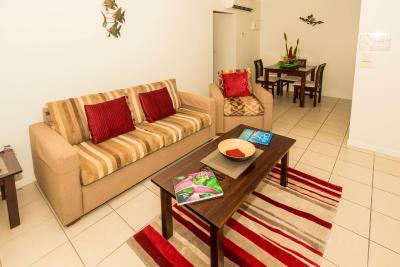 Air-conditioning and a sofa bed are both provided in the lounge and there are fans throughout the apartment. Rooms are 57 square yards. House Rules Melaleuca Resort takes special requests – add in the next step! One child under 16 years is charged AUD 30 per night when using existing beds. All children under 2 years are charged AUD 5.50 per night in a crib. All children under 16 years are charged AUD 30 per night for extra beds. 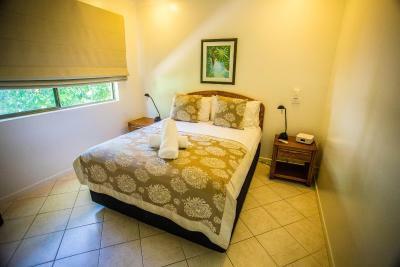 Any additional older children or adults are charged AUD 30 per night for extra beds. Melaleuca Resort accepts these cards and reserves the right to temporarily hold an amount prior to arrival. We loved everything about the resort. Loved everything. An amazing place to stay to unwind. Main aircon temperamental, noisy taps and a bit dated. Had limited toilet paper, tissues and basic kitchen supplies. Informed staff about the aircon and taps and they took it on board. 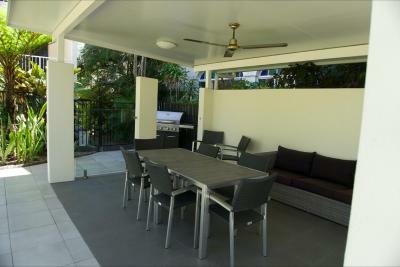 Fantastic location, very clean, gardens and pool immaculate, friendly staff. Excellent property. Excellent managers always helpful. Equal to anywhere I've stayed. Wifi signal not available in room had to go downstairs to get wifi. Bed could have been more comfortable. Every think to cook with and to do washing . Beautiful garden, excellent location. The room is fully equipped. Perfect for cooking! I loved everything about our stay at the Melaleuca Resort. The Melaleuca was perfect. 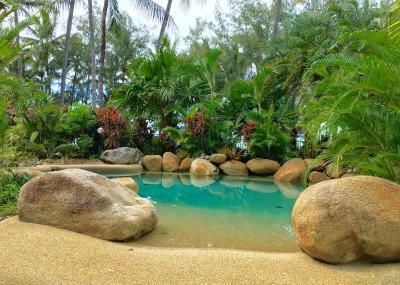 Beautiful gardens and a delightful pool. The apartment was very well appointed and very clean. 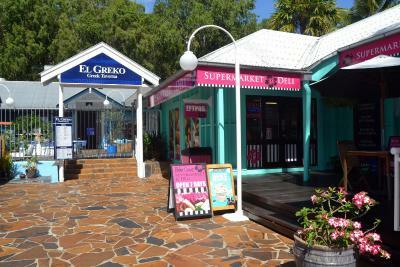 The owners were very kind and helpful and knowledgeable about the area. We loved the location too. We were close to everything and the beach directly across the road. Everything. Bed was super comfy! Very quiet resort! Everything, location setting fabulous gardens pool, friendly helpful people. Even the rain!